Redshirt junior forward Courtney Verloo earned her first Pac-12 Player of the Week honors yesterday, after scoring two goals and making one assist in the Cardinal’s wins over Washington and Washington State last weekend. The Tualatin, Ore., native leads the team on overall offensive statistics this season, and with six goals is second only to senior forward Mariah Nogueira. 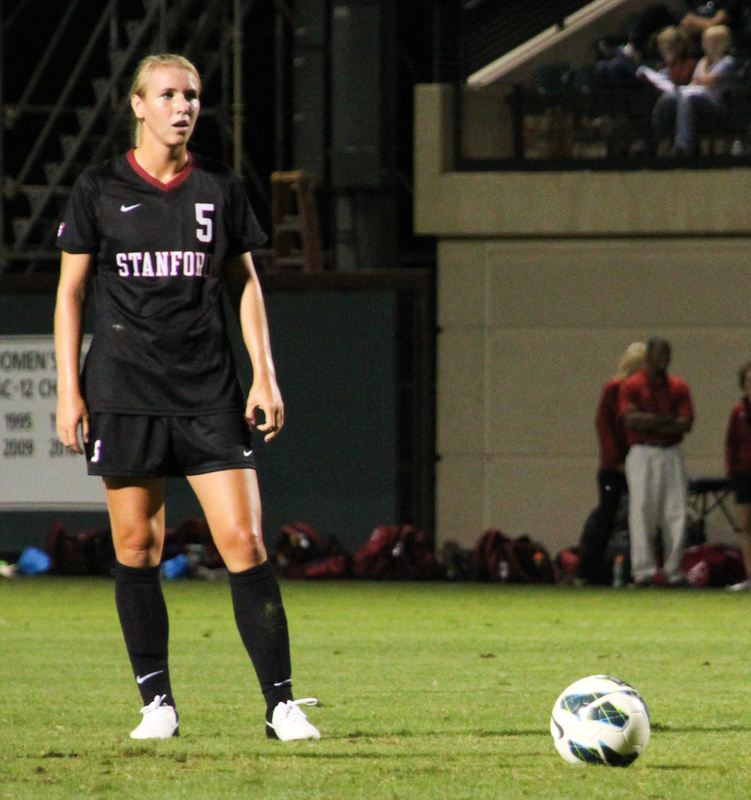 After missing last year due to injury, Verloo’s return has played an important part in No.1 Stanford’s 14-1-1 overall record and unbeaten conference schedule so far. This weekend the Cardinal heads down to Los Angeles to face USC on Friday ahead of a top-of-the-rankings clash with No.2 UCLA on Sunday. On Sunday night, Stanford’s former guard Jeanette Pohlen ’11 watched from the sidelines as her team, the Indiana Fever, won the WNBA Championship, defeating the Minnesota Lynx 87-78 to capture the series 3-1. A former All-American for the Cardinal, Pohlen was unable to play in the final two games after an ACL tear ended her season in the second period of Game 2. As part of the first Stanford women’s basketball class to make four straight Final Four appearances and finish their collegiate careers unbeaten at Maples Pavilion, Pohlen now joins an elite list of six Cardinal players to have won a WNBA title, including Sonja Henning ’91, Olympia Scott ’98, Nicole Powell ’04, Brooke Smith ’07 and Candice Wiggins ’08.